Let's begin with a simple definition. A session musician is someone who performs music in a recording session. He's hired by the music contractor, the music producer, the band or the record, film or video production company to play whatever music is going to be recorded at that session. At this point, it gets a little more complicated because no two session musicians are alike. Each has a specialized skill that makes him uniquely employable. A few trumpeters like Tommy Stevenson and Snooky Young, for example, made their reputation as high-note specialists. We've been in more than one recording session in which the trumpeter left the high passages out while playing. At some point during the session, the high-note specialist arrived, played those notes and was on his way. Most session musicians are excellent readers—one compliment sometimes given to the very best readers is that "they can play fly-paper." In other words, if it's written down, they can play it. And usually on the first take. On the other hand, one of Nashville's most sought-after steel players not only doesn't read music; he doesn't even read Nashville's idiosyncratic "number system," a numerical charting method that allows players to shift keys easily as a vocalist's range requires. What he does instead is sits down and begins playing with all the musicians who are reading—with no preparation, no practice. He's many Nashville producers' "first call"—the steel player in the highest demand. Session musicians frequently specialize in a particular musical genre. Los Angeles' famous "Wrecking Crew," a closely knit group of players led by guitarist Tommy Tedesco, dominated pop recording in Los Angeles for more than a decade. Among the Wrecking Crew's players were musicians who went on to stardom—notably Leon Russell and Glen Campbell—and others, especially bass player Carol Kaye, who could take the merest inkling of a musical idea and turn it into an "earworm,"—one of those musical passages you just can't get out of your head. Although few fans knew it, ​many of The Beach Boys recordings were the Wrecking Crew, not Brian Wilson's band. Other session musicians have classical backgrounds and are particularly in demand for film music dates. Others still specialize in R&B, country, and jazz. 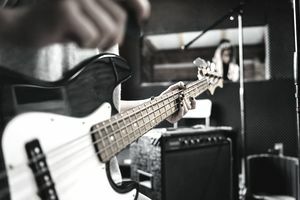 A session musician's day is organized around a Musicians Union requirement, the three-hour recording session, or more likely two or three of them, one after the other. A film date may be a double session, back to back. Some pop, rock and urban music sessions can be looser, particularly if the budget allows it. A musician may arrive for a 10 o'clock R&B session that doesn't start until noon and doesn't end at three. Nashville, on the other hand, had a tradition for many years where not only were the session lengths prescribed, so were the start times, accommodating time for lunch and dinner. Online sites sometimes tell you how to get a job as a session musician, but their business-oriented approach is not always best. The path toward becoming a session musician begins with musical excellence and, the truth is, not all musicians are created equal. Only the very best instrumentalists and vocalists will ever work as session musicians. The most common way of finding this desirable employment is through the informal musicians' network that exists in every major US recording center. A musician may be playing in an obscure club in the city when a buzz begins. "Have you seen so-and-so? Incredible; check him out." Eventually, one of the attendees will be a famous producer like Quincy Jones who will offer the musician a gig as a session musician.